Qualified Buyers For Homes In Baltimore! You know me as a listing agent and Broker Owner of HomeRome Realty but I also have buyers for specific homes. They come from direct referrals and past clients. Maybe I have sold their home or they have friends that want to work with me or friends who want their family to work with me or sellers who want their friends to work with me. This is one of those times that I have really good qualified buyers...all are ready willing and able to purchase right now! If it is on the market we know about it. I am looking for buyer specific homes. If you are an agent who has one of these properties coming on the market, call me. If you are a seller and you have an agent, please have them call me. I have qualified buyers for homes in the Baltimore Area! If you are an agent who has one of the above properties coming on the market, call me. If you are a seller and you have an agent, please have them call me. STOP !! When Traffic Lights Are Out...Treat Like a Four Way Stop Sign. The Baltimore area along with the entire east coast has felt the effects of Sandy. There are power outages in our neighborhoods and of our traffic signals. Do you know the procedure when approaching a traffic light that is out? When approaching a non working traffic light..treat the intersection as though there was a 4 Way Stop Sign! I know you all knew this but please pass the word. How many of these Baltimore restaurants have you visited? Welcome to the Upper Crust! Suburban House...Active Rainers eat Well in Baltimore. Sushi Ya is Delicious in Owings Mills, MD! McCabes has great Comfort Food! Guess Who I Had Lunch With Today at G&Ms? Hill of Beans at Mr. Chan in Pikesville! 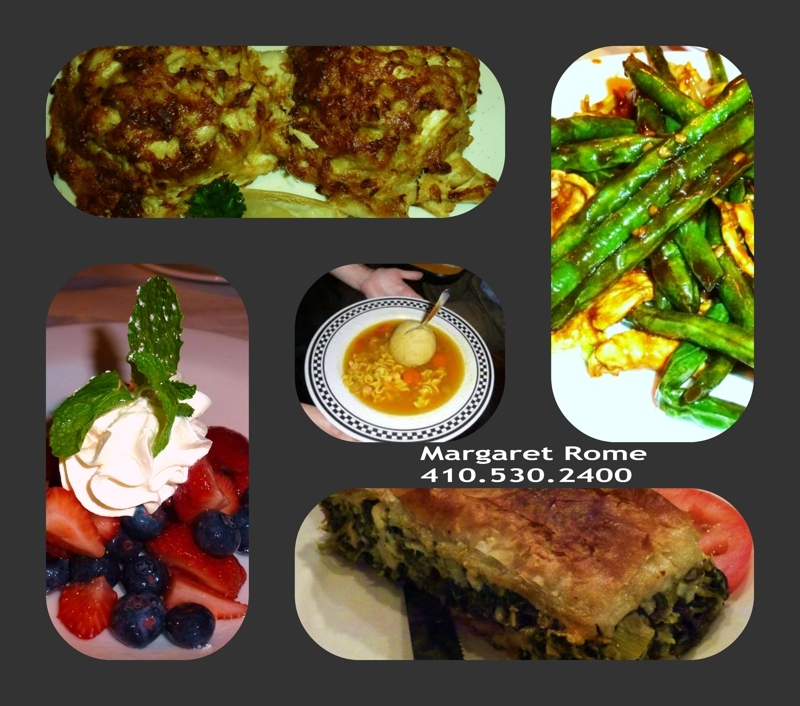 Baltimore Restaurants... Fun Places to Eat and Meet. How many of the restaurants above have you visited? Private Custom Brick Home Surrounded by Woodholme Country Club. What a pleasure showing this Private Home Surrounded by Woodholme Country Club. This is true country living one mile from the Baltimore Beltway. For additional photos and information please check out the following links. 415 south rd: Country Living One Mile From Baltimore Beltway- Custom Brick home! 415 south rd: Woodholme Country Club is a Great Place to Live! Found a new favorite restaurant when taking my sellers out after a recent settlement. 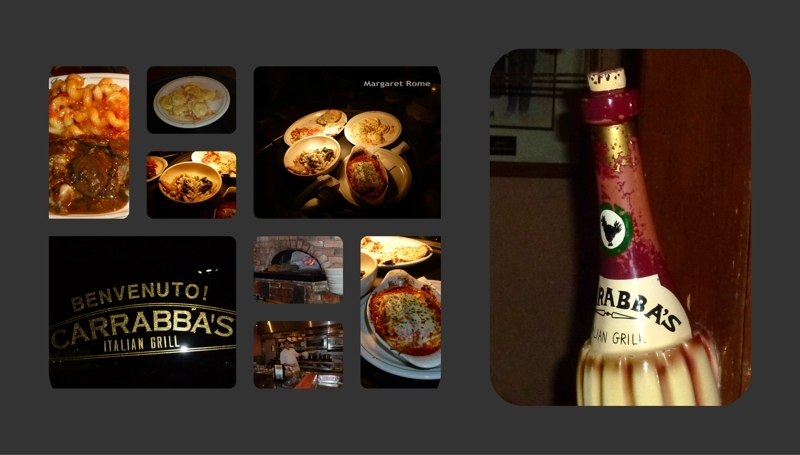 Their choice of where to dine and since we were already in the Hunt Valley area they suggested Carrabba's. The pastas homemade, salads were fresh, all the dishes were delicious, served with care and looked and tasted so yummy. So busy enjoying the company, I forget to take photos of the food. No problem. I just went back to the open kitchen and the staff was glad to accommodate by 'posing' the dishes. Ups and Downs of My Autumn Leaves in Baltimore. Recently wrote Looking Up at My Autumn Leaves in Baltimore. 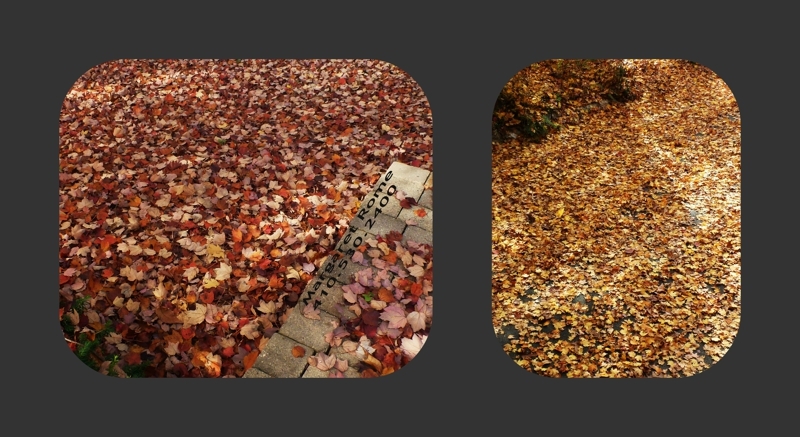 Today I am looking down at those same Autumn Leaves in Baltimore....soon to meet the rake and leaf blower. Also I am looking UP at...the naked trees that I Love in Baltimore! Help Save Shira and Others! 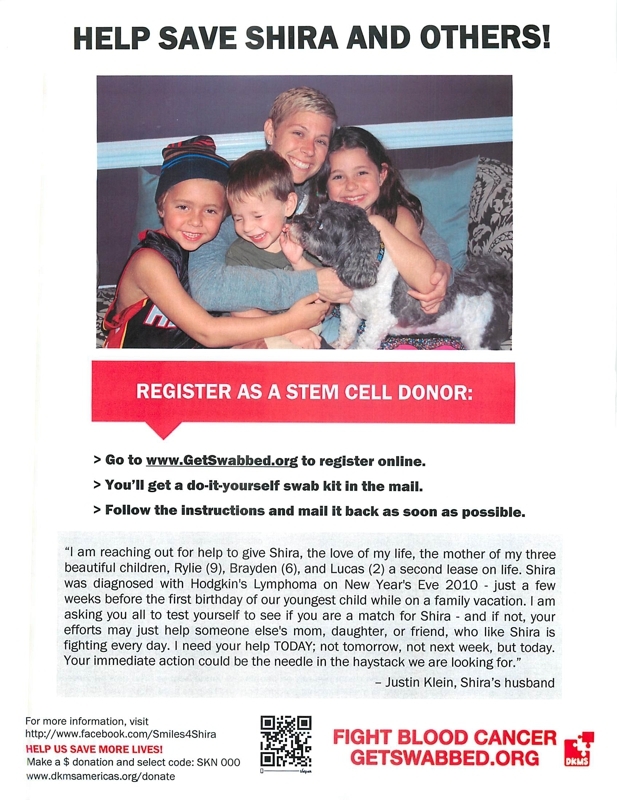 Register as a Stem Cell Donor! We, on ActiveRain, reach a lot of people. Let's see if our network is strong enough to find a donor for Shira. I met Lynn Dopkin, whose daughter is Shira's friend. Please take a few minutes to find out if you or someone you know is a match. It is easy and so important. Read the plea below from Shira's husband. Shira is a wife, mother and friend. Please take a few minutes to find out if you or someone you know is a match. It is easy and so important. 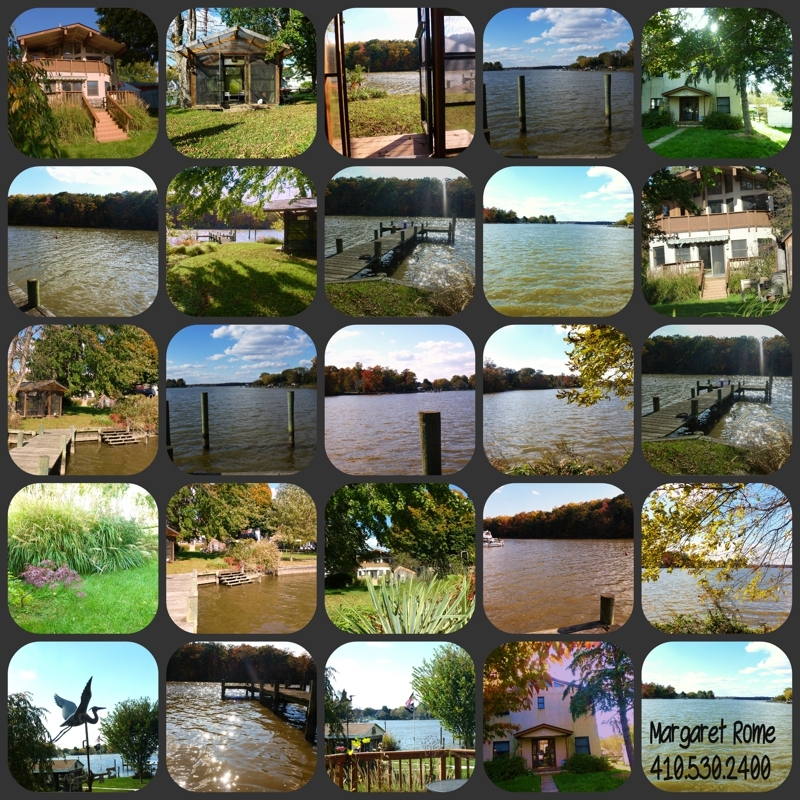 We visited my newest listing, a waterfront Home in Baltimore County. The beauty looking across the water was spectacular. The aerial view, taken a few months ago with so much lush greenery, you can hardly see the casita/lanai so close to the pier. 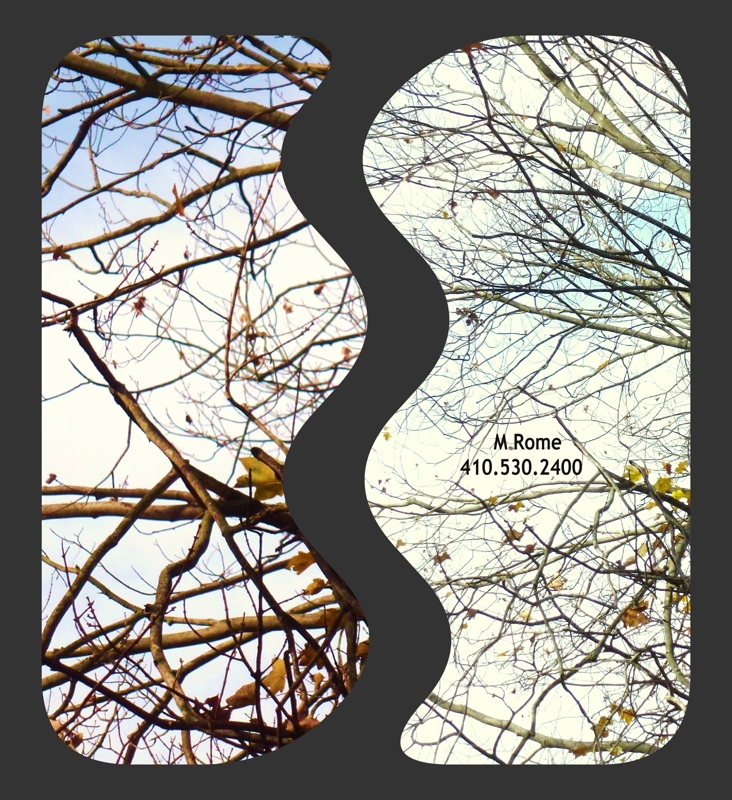 Think about...Vacationing Year Round in Baltimore County? This is a perfect spot for swimming, boating, fishing or just plain relaxing! The upper deck has both a hot tub and a sauna. This is a perfect spot for swimming, boating, kayaking, fishing or just plain relaxing! Vacationing year round in Baltimore County? While sitting on my front porch, talking with Elyse Berman about a listing referral in the Florida area, I could not stop looking up at my brilliant leaves. Elyse told me how much she missed this season and I wanted to share the beauty. Camera in hand, I started clicking away... planning to email Elyse the photos. 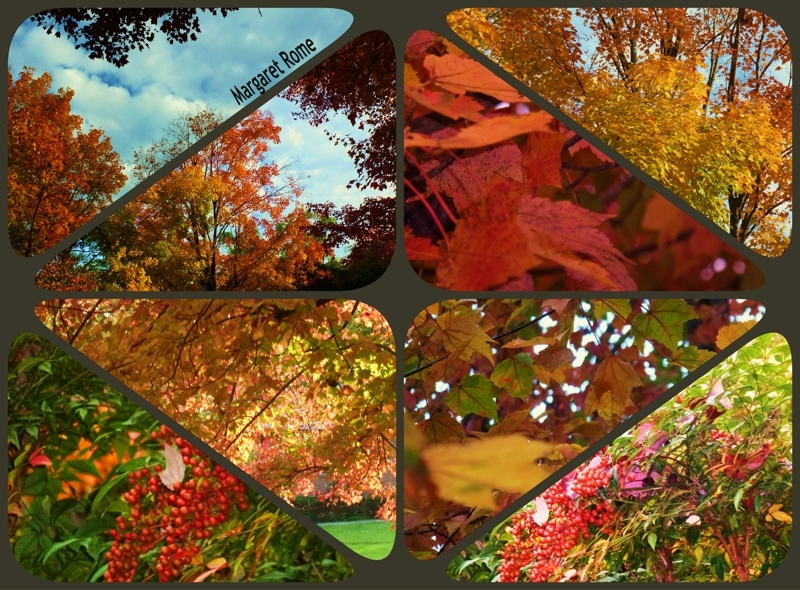 But why not blog so more people can share My Autumn Leaves in Baltimore? These photos were all taken while sitting on the front porch.. Looking Up at My Autumn Leaves in Baltimore. This beautiful home will be on the market in a few weeks. It is an exciting property with gorgeous water views and I can not wait to show it to you. For more information, please call 410-530-2400. It is an exciting property with gorgeous water views. Seeing all the colorful displays, this market was calling for me and my camera to visit. 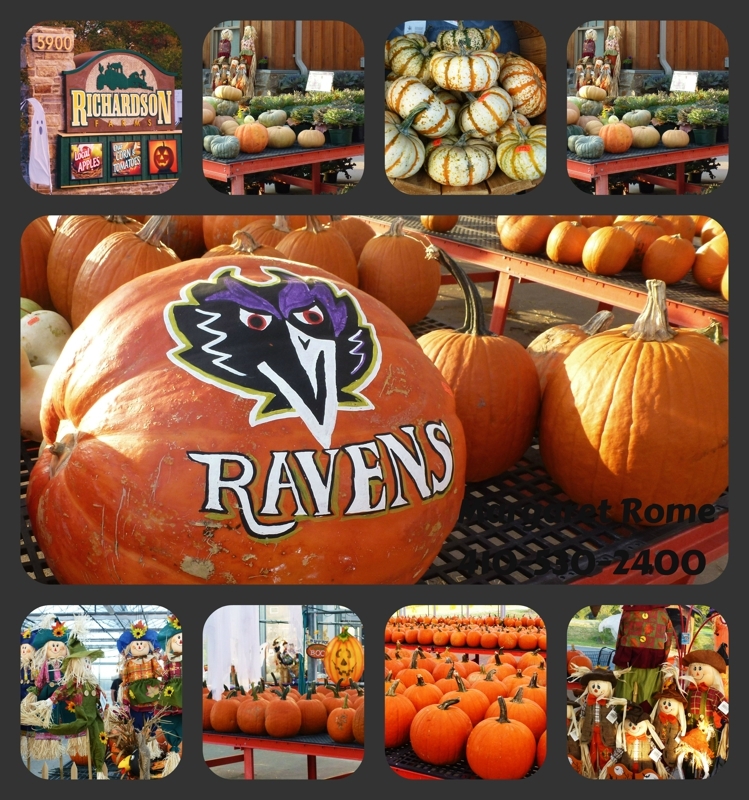 Richardson Farm located at 5900 Ebenezer Road in White Marsh has the best display of Pumpkins and decorations for the season...not to mention lots of fresh locally grown fruits and vegetable. When you tour my new waterfront Home in Baltimore County (coming soon) be sure to stop at Richardson Farms and see what colorful photos you come out with. While there fill your basket with fresh fruits, vegetables and lots of other goodies. 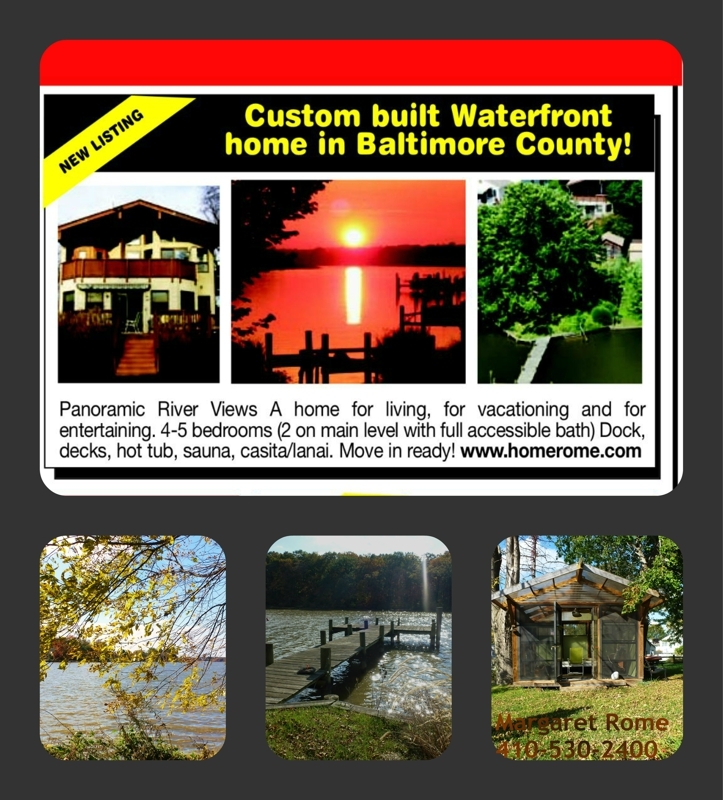 Would You Like to Own a Waterfront Home in Baltimore County? I have just listed a wonderful home that will be on the market within the next few weeks. How would you like to live in your vacation home all year long? Your own pier and steps right into the water. Glorious views from in and outside the house. Gourmet kitchen with sweeping river views! Stay tuned for more details. Check out some photos taken today! I have listed a wonderful home that will be on the market within the next few weeks. How would you like to live in your vacation home all year long? Your own pier and steps right into the water. Glorious views from in and outside the house. Gourmet kitchen with sweeping river views! Stay tuned for more details. Being a solo broker, plus reading Susan Emo's post, was a good reminder of my last bout with influenza...it certainly knocked me for a loop! So I decided to get stuck in Baltimore. There is no shortage of places willing to stick you! These signs seem to be everywhere. The vaccine can be given at doctor's offices, health departments, hospitals, pharmacies, libraries, Senior Centers, City Hall, malls, community centers, colleges and even Target. So easy and so fast. Fill out a short form, take a seat, have the injection. They ask that you wait around for a few minutes if is your first time getting the vaccine... just in case there is an allergic reaction. Have you gotten your FLU shot? Have you shared the need with others? This is a good reason to make contact with family, friends and clients. Below is what the site looks like and you can just type in your address. 'Baltimore City Public Schools has many school options for students, including zoned schools for some grades (based on residential address) and schools of choice for all grades. City Schools has citywide choice for high schools and is expanding choices for students in the middle grad0es. For verification of school assignments, please contact the Office of Student Placement at (410)-396-8600. Proof of residency in Baltimore City is required when registering your child in any Baltimore City Public School. 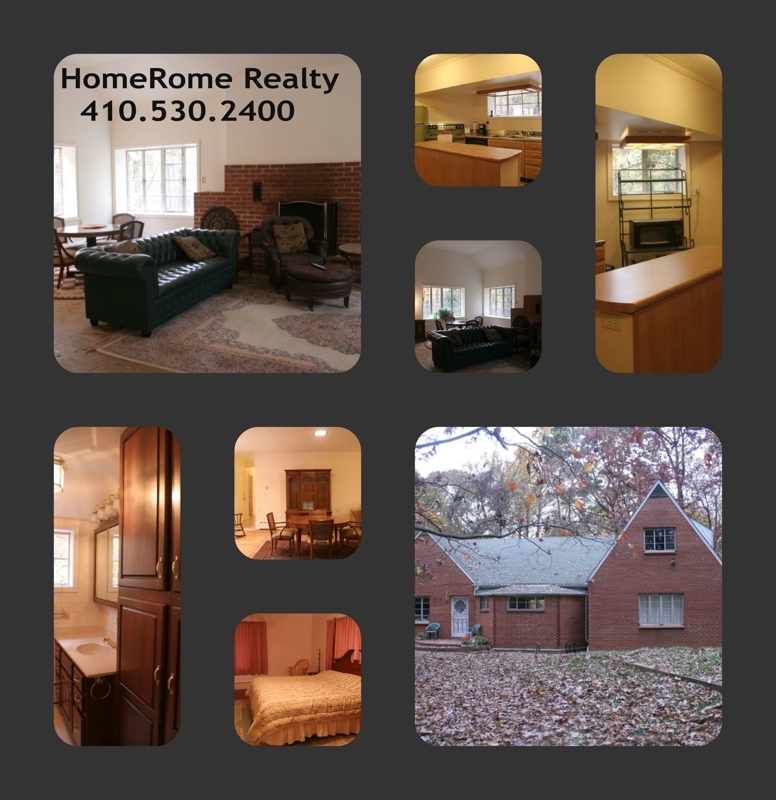 Homes for Sale in the Baltimore Area! This is a follow up of yesterday's featured post...Do You Put Prices In Your Advertising? After receiving so many comments....thought you would like to see what the ad looks like without prices. Do You Put Prices In Your Advertising? For many years I have always posted prices and addresses. From the beginning of my career, I was advised not to because it would take away the reason to call. Most of the time buyers only want to know the location and the price. I felt strongly that the public had a right to know these two important facts. This week, I am deciding to take the prices out but leaving in the address. Check out this weeks ad in color. For me, a bit different... I wonder if it will make a difference. What do you do? Do you put prices in your ads? Do you even do ads? Is Print Advertising For the Birds? Having spoken with Jill about a referral to her area in New York, I was so pleased that she enjoyed the book. You can read it on Kindle. Jill really identified with the Type E personality...one of the main reasons for writing Real Estate The Rome Way! Thank you, Jill! The core concepts in this book are every bit as relevant today as the day it was published. Good taste never goes out of style. For those new to real estate sales and for seasoned professionals, this easy-to-read, comprehensive guide to building a successful business encompasses solid, insightful, common-sense advice. I started the book with no expectations. It's about real estate, after all; not a topic that normally lends itself to unusual excitement. 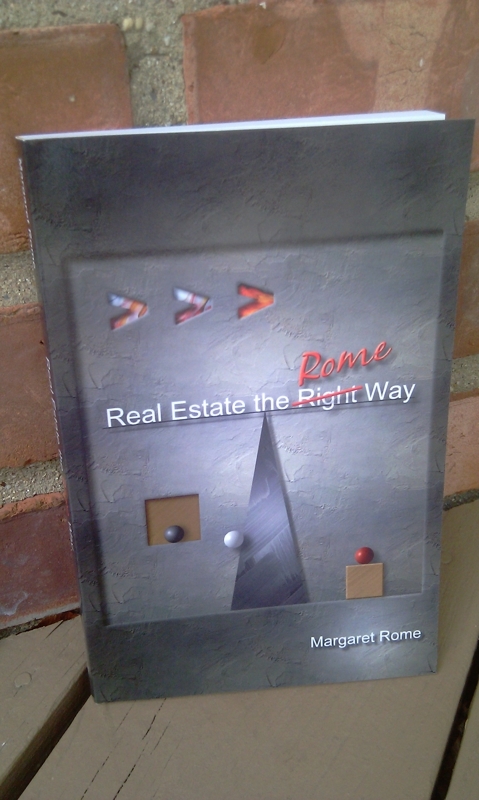 By the last paragraph, however, I was absolutely convinced that Margaret Rome completely understands the psychology behind not only human behavior, in general, but the buying and selling of real estate, in particular. As such, she has developed and tailored her award-winning style to meet unique individual needs and has done so in a most pleasing and lucrative way. For 22 years, Margaret Rome has been a top producer in sales. She's developed a following based solely on referrals and repeat business; a real estate's agent dream. Thank you letters from Margaret's past performances speak for themselves. She's accomplished her goals with integrity, creativity, good humor and a little chutzpah thrown in for good measure. The ability to balance home and professional life, a common undoing for the average agent in what just happens to be an all-consuming career path, is a critical component of the book. A "must read" if you wish to lay a strong foundation for your real estate business. The sound advice of a "consummate professional" will help you navigate the roller coaster ride of our current economy. As a long-term resident of Long Island's south shore, I serve all communities from Queens to western Suffolk, south of the L.I.E. If you're thinking of buying or selling, please give me a call. My goal is to make your real estate experience as painless as possible. From start to finish, I will be there to guide you. 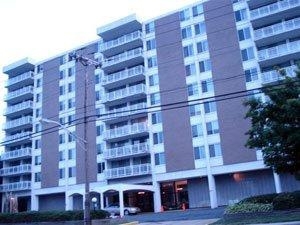 Another Baltimore Condominium Listed Sold and Settled! Today we had a very smooth closing on Unit #305 in Strathmore Towers. 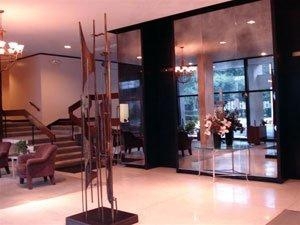 This two bedroom two bath spacious condominium is sold and settled. If you want SOLD on your home call Margaret Rome! Wonderfully Busy Fall Day In Baltimore! It was a beautiful day with bright sunshine, cool temperatures and the trees painting pictures with their fall colors. A 9:30 showing at 3003 Northbrook Road in Pickwick followed by a scheduled appointment and an Impromptu Open House in Carroll County at 1930 Jordans Retreat. I got to see my friend Rio and owners Kathy and Tom. Stopped for lunch with TLH and watched the Ravens game with a final score 31-29. Yes, we won but just barely! Then another showing along with an impromptu open house at 12325 Falls Road . Had a potential buyer stop after seeing the open house sign. This picture was taken today. Can you guess where? The picture above was taken today. Can you guess where? Thanks to William Johnson for the idea of photo-blogging! He taught me that a picture can not only enhance the story, it can be the story. Do you have a picture that tells a story? Free Lunch and Newly Elected Officers For Baltimore's WCR Chapter. It was a beautiful Fall day in Baltimore and we had a lovely luncheon at Basta Pasta in Timonium. It was free to all of our Women Council of Realtors® members. After the election of our new board, we had Paul Malstrom speaking on underwriting the loan. From Left to Right ...our new board members. All in one day I got to visit with some special WCR friends, hear a speaker and enjoy a delicious free lunch. These are some of the perks of WCR membership. Are you a member? Today I am one key lighter and a very lucky family got keys to their very first home. Another Baltimore Home was Listed, Sold and Settled. 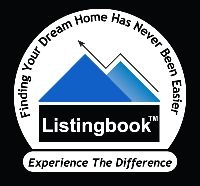 You Got the Listing...Now What? 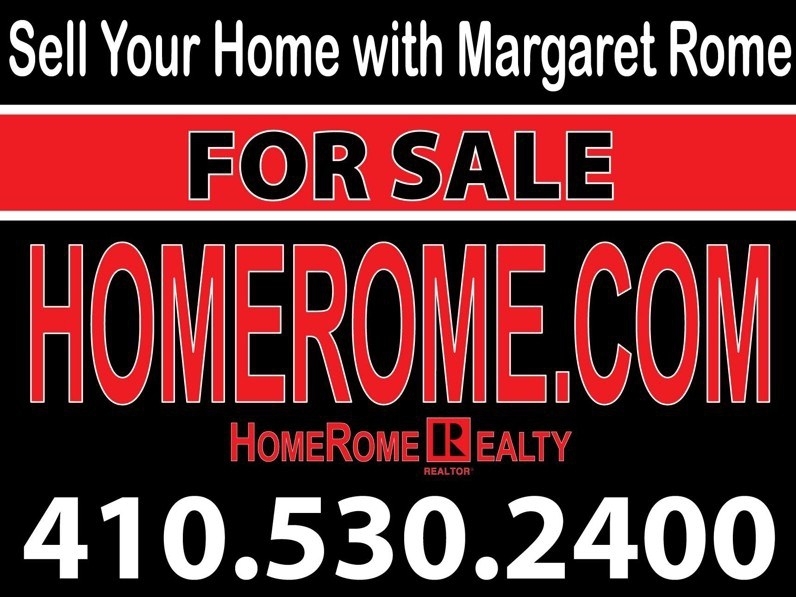 If you want SOLD on your home...call Margaret Rome! It's Fall and the foliage is starting to show some of its most beautiful colors. At this time of year, you want to have a camera ready. Look what you might miss! Feast On Baltimore Autumn Colors. At this time of year, you want to have a camera ready. Voting in Maryland. Where to Vote? How to Register? Check out the State Board of Elections' Website. Click on the dark blue squares above. Can children accompany me into the voting booth? Do I need to show identification before voting? I just moved. What do I do about my voter registration? Where can I find district maps?